4LP vinyl 2001 reissue. 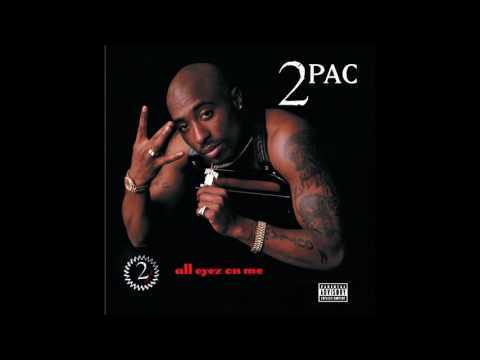 Fresh out of the slammer and eager to prove himself on Suge Knight&apos;s Death Row Records, 2Pac created the most ambitious album in rap history up to that point. 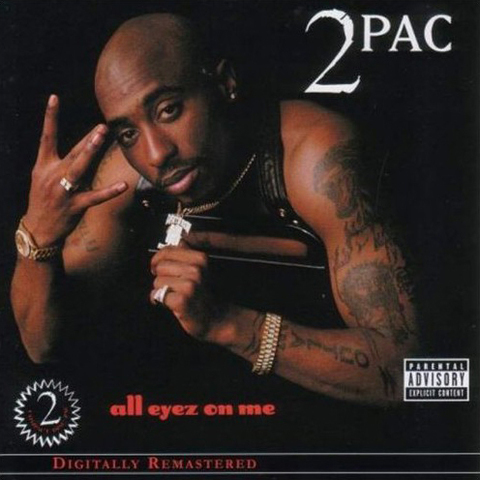 The very first double album in rap, "All Eyez on Me" was a critical and popular success, shooting all the way up to number 1 on the Billboard Top 200 album chart. All of the biggest players on the West Coast Rap scene are featured prominently: Snoop Dogg, Dr. Dre, Nate Dogg, Method Man, Redman, Tha Dogg Pound and even George Clinton makes an appearance. The singles "How Do U Want It" and "California Love" each hit #1 on the Billboard Hot 100 Singles chart. "Rolling Stone" magazine consider this one of the most influential albums of the 1990s. On vinyl, this double album is spread over 4 LPs.